We take on these "hospital" rebuild projects for you. You can leave your vehicle here for a period of time to allow us bit by bit to repair, install, rebuild engines, gearboxes, chassis, suspension etc without the worry of leaving it on the drive or in your garage in pieces taking up space. This can be an older vehicle which has sentimental value to you, a classic car which you may wish to show, camper van in need of restoration, or just something you would like to bring up to roadworthy condition for yourself or family member to drive, like daughter's or son's first car. We can also valet your rebuild project after repairs are finished so it’s in the best possible condition for putting back on the road or taking to shows. fully equipped to deal with everything from basic resprays to projects requiring a full strip down and rebuild to as new condition. We work very closely with all our customers to ensure their exact requirements are met. Many of them will visit weekly for a coffee and a chat with the technician who is working on their car to discuss the latest progress. Fully equipped premises to offer one stop shop, for all makes of classics, body, paint, mechanical and trim, restoration, repair and servicing. 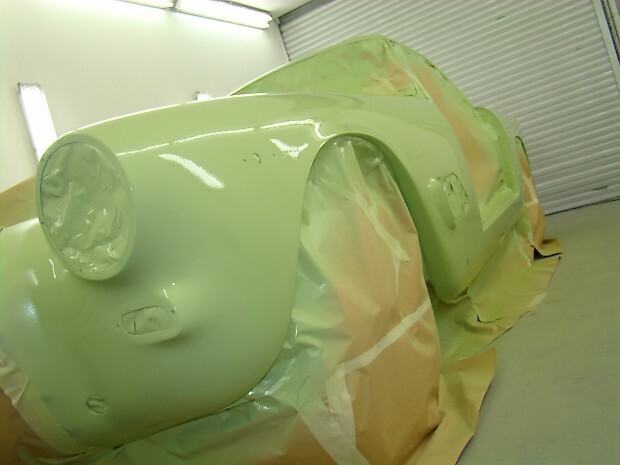 We undertake restoration and servicing on a wide range of classic cars. We are fully equiped with 2 ramps and modern low bake spray booth and dedicated trim room. ​Any trademarks, photos or logos used throughout this website are the property of their respective owners.